Occasionally, certain Anti-Virus software may incorrectly flag or interfere with your NovaBACKUP software from properly running. This can result in a failed backup job, unusually slow backup speed (transfer rate), failure for the application to start entirely, or the inability to see destinations to backup your files to. Please also confirm no files shown here have been quarantined by your Antivirus software if you cannot find the file in the listed location. 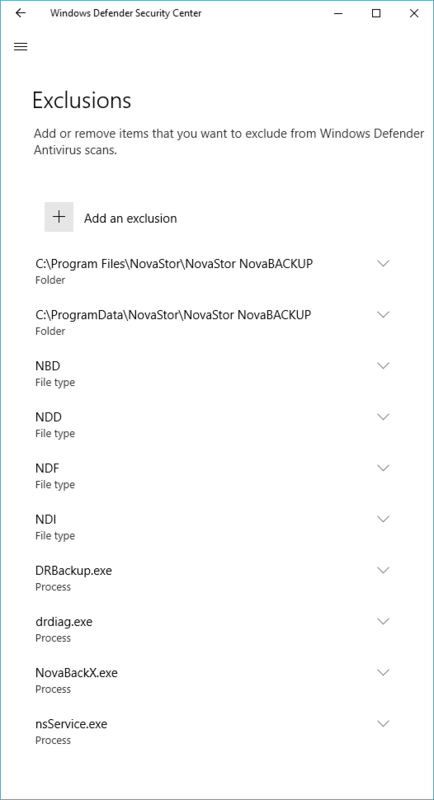 This guide discusses how to exclude NovaBACKUP processes, file types, and program folders from Windows Defender Antivirus, to speed up backups. We have an alternate guide on the subject of how to exclude the required items from other anti-virus software here. 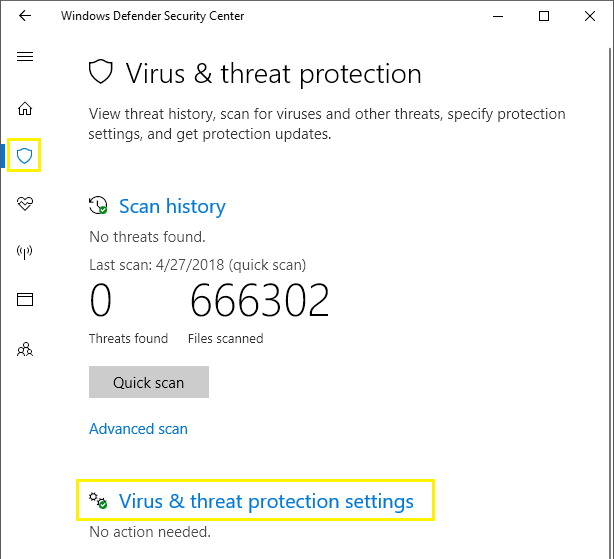 Please see the files below and add the following folders to your Antivirus exception lists if you are experiencing any of these issues and are running an Antivirus Software on your machine. Note: NovaBACKUP 19 software currently only supports Windows 7 and above for Workstation OS and Windows Server 2008 and above for Server OS. 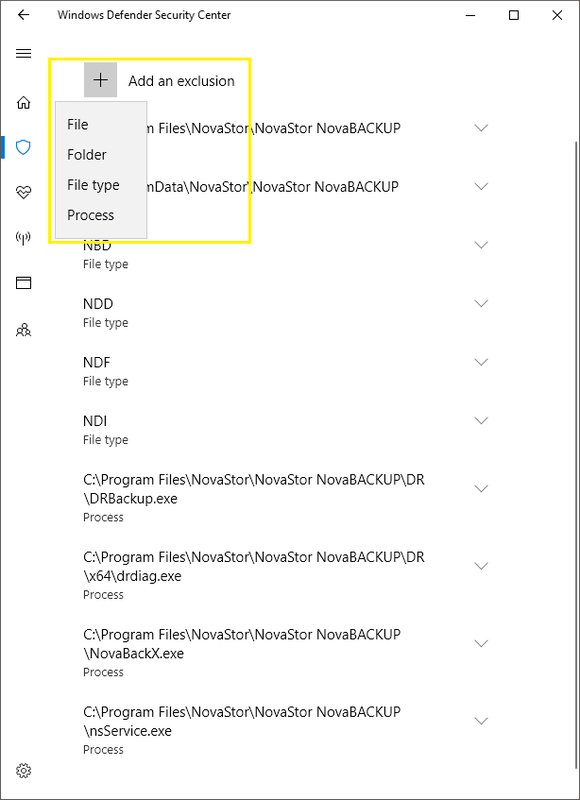 FYI: The Temporary Files directory can be set to a custom folder in the Default Settings -> Advanced Options -> "Temporary Files directory:" option setting, inside NovaBACKUP software, this folder will also need to be added to your exclusions. 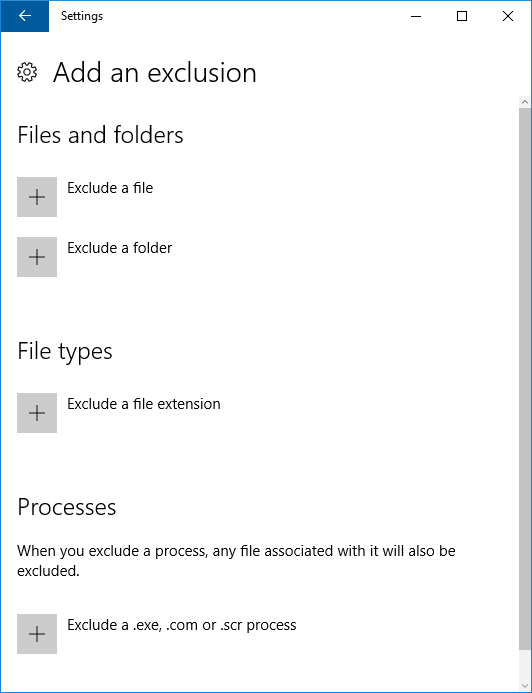 The instructions for Windows Defender are shown below to add the exclusions. 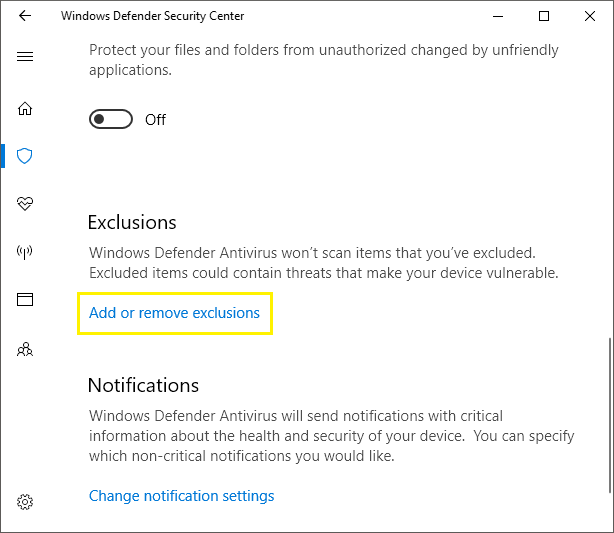 You can see the highlighted sections shows what to click on to get the various methods of exclusions that can be added to Windows Defender. 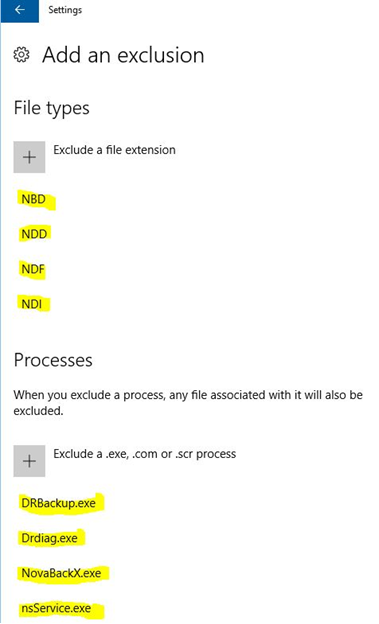 You should see the "Virus & threat protection settings" screen, click on "Add or remove exclusions".